The cakes on the left are EQ while the ones on the right are PF. The Tek is straight PF. The perlite has a 50-50 mix of distilled water and H2O2. The babies on the table measured 6 inches or so. The paper plates were soaked in H2O2 and laid directly on the perlite. 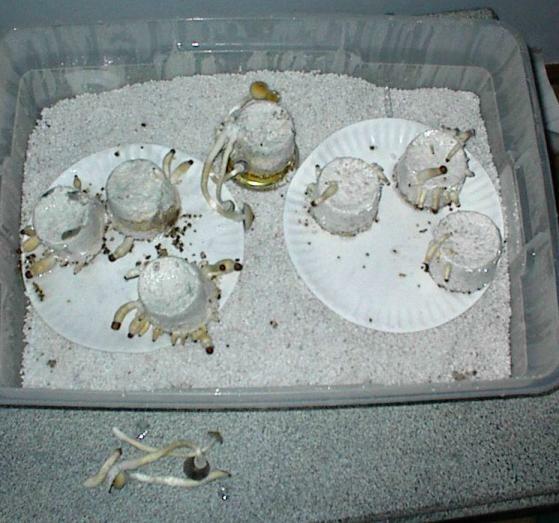 They kept the cakes moist without rotting the shrooms and never promoted mildew or mold.